In the six years since it was created , the Danone Nations Cup has become the world's top football tournament for children in the 10-12 age group, and has already made 10 million kids' dreams come true. The World Final is the culmination of a year of competition, over five continents. 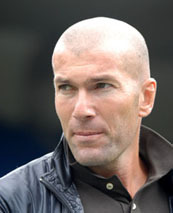 The winners of the national tournaments in the 32 participating countries come together in a prestigious stadium, filled with bigger and bigger crowds, to play their favourite sport under the proud gaze of some of the greatest stars of the international game, and in particular the event's sponsor: Zinedine Zidane. 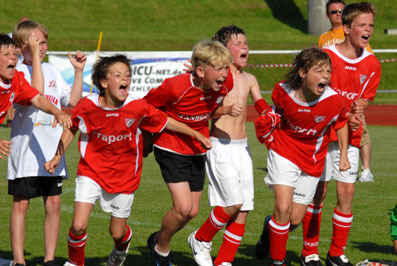 Endorsed by FIFA and the FFF (the French Football Association), the World Final of the Danone Nations Cup is a true festival of sport, which brings together 500 children from different countries and cultures. The event is based on four fundamental values: openness, pleasure of the game, fair-play and accessibility. More than just a football tournament, every year the Danone Nations Cup gives thousands of kids the chance to "believe in their dreams", taking part in a unique experience where the emphasis is firmly on openness and fraternity.The Danone Nations Cup also gives hope to hundreds of children affected by illness, donating all revenues from ticket sales to the association ELA, which is sponsored by Zinedine Zidane. This year's world final , held in South Africa from Oct. 1st to 3rd, was spectacular, especially the last day in the Orlando Stadium in Soweto. What an atmosphere! Tens of thousands of enthusiastic spectators, many as young as the players, celebrated the victory of their team exuberantly. The kids from all over the world who were able to particpate in this wonderful event (and even myself) will probably never forget it and they will always remember the charming people of that extremely beautiful country.